Some time this year, the plug was finally pulled on the web service TeamOn.com. The service was backed by web startup TeamOn systems and a competitive, fast-paced team in its peak years 1999 – 2002. I joined them fresh out of college as a software developer with an overseas, outsourced team. TeamOn was acquired by RIM in August 2002, on the downside of the dot com blow out. Do forgive the sentiment, this post is in remembrance. TeamOn was my first taste of startup life, business, and technology. TeamOn had an e-mail aggregator way back in 2000 – users could aggregate their hotmail, AOL, MSN, CS2000, RPA, POP3, IMAP e-mail all in one teamon account. GMail has that feature in place now under “Get mail from other accounts”. TeamOn had a hosted e-mail solution in place. You could have teamOn receive, store and send all e-mail for a domain you owned. TeamOn also had virtual folders, conversations, document store and a bunch of other pretty cool features. Here is a screenshot of a pretty old version. Update: Here is what one customer has to say about AirTel’s BlackBerry service in India and the BlackBerry Pearl. 1. Email service on airtel.blackberry.com id is unreliable, as there is “no server” where to push emails from! I bought my Pearl in Dec-2006 and have lost most emails when the helpline tried to re-configure after my email send-and-receive stopped for some reason. 2. Trackball was beautiful, but since couple of weeks, scrolling has become erratic for me. Sometimes, upward scrolling does not work, and at other times, scroll to left fails. If the problem cannot be solved and the instrument has to be replaced, it takes about 15 days (in Bangalore). 3. Airtel and BB support has been poor, whether on phone or email. Calls get dropped, and they don’t stretch to call back or follow up, beyond an immediate and annoying customer-satisfaction sms. “Call volumes are high” is the standard response. Requests get “closed” though customer still faces problems, and if serious complaints are raised, the call is either dropped or you are told that a remark has been raised in their systems (whose wording, of course, bears scant resemblance to the issue at hand. 4. Blackberry Prosumer (tariff) Plan for data can get switched to Rs.899 plan even if you’ve signed up for the 499 one. You’re told to get company approval, though it’s a personal phone. Bills and collection followup via sms, manual calls, automated calls, etc., gets done 3-4 times daily by different agencies … to a point that outgoing calls are cut. It’s happened to me while on holiday with family in Mumbai, for a fault that Airtel+BB committed. 5. Other than for music, ringtones, pic, and video, files can neither be saved from within BB (even if it’s attached to email) nor viewed (when not attached to an email). The BlackBerry Pearl has been retailing in India for a while now and costs approximately Rs. 25,000 (as stated on CNN-IBN – Tech2.0). Strangely, I have not seen much of it on TV, Print and other media. The AirTel site does not list the Pearl either. Update: You can now watch the BlackBerry Pearl promoted on almost all the premium info TV channels. The Pearl was featured this weekend on CNN-IBN’s Tech 2.0. While the shows review was not a detailed one (they enlisted a few strengths and weaknesses of several e-mail phones) you can find a detailed review on the tech2 web-site. 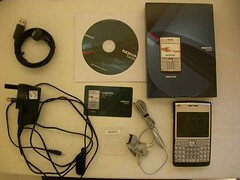 Tech2 cited the Nokia E61 to be the closest competitor the BlackBerry Pearl 8100. In their own words, the Nokia E61 is a “BlackBerry Killer”. The Nokia E61 retails at Rs. 17,500. If your concerned about continuing to get your BlackBerry e-mail and are wondering if you can upgrade, the Nokia E61 can be used to grab BlackBerry e-mail. The E61 ships with BlackBerry Connect software that you can use to get your BlackBerry e-mail from your BlackBerry network. 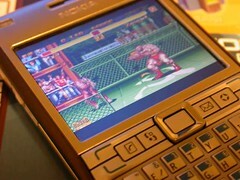 Update: The E61 is being sold as the Nokia E62 in the USA. Business week has a short review of the phone. More on the blackberry on Sukshma. Google’s chief – Eric Schmidt speaks about the silver bullet in business – partnerships. Eric is usually rather honest in his interviews which is what makes them so interesting to read. The new technology thrust that is unravelling is in terms of video online, Search, Exchange, Edit, Annotate, Popularize, Promote name it there is a web 2.0 site out there that is doing it. Google themselves are partnering with MTV. Entertainment isn’t what it used to be. From big media company blockbusters to two minute videos created by individuals armed with an imagination and a camera, entertainment comes in many forms. Much of it now targets the individual instead of the masses. With so many services competing for our attention, we find ourselves asking, “Does it work on my iPod?, Is this the free version with ads?, Can I burn this to disc?” While the Internet gives us access to much of this content, there hasn’t been a simple way to find and filter it. BiggerBoat gives people a better way to search and discover entertainment. From the top of the charts to the long-tail of consumer generated content, we’re developing a resource that gives consumers an accurate picture of what’s out there. We’re doing this by creating a single powerful Index of information coming from a variety of sources – the freely available Web; members-only services; and information that you just can’t get anywhere on the Internet, until now. “Don’t let the method distract you from your message.” – A mentor in the past, he may have been talking about e-mail ;-). But I heard what I wanted to hear. “No one told the young guys it couldn’t be done, so they went ahead and did it anyway.” – Another mentor, at an Udupi restaurant, before I left for Pune. “Don’t let the competition or difficulty bother you, stay focused on solving one problem and solve it well.” – Founder of 2 respected startups and also in a mentorship role. 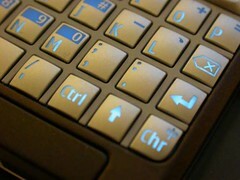 Article: “Airtel’s BlackBerry: Not too hot” – Rediff.com, Dec 16th. 2005. My take, author’s spelling – not too hot! But then let me not miss the real theme of the article. The author is not the only one to complain about the poor memory available on RIM devices (I believe he is talking about permanent storage memory). BBConnect devices are one way to get around such limitations. Surprisingly, India got BBConnect before the US did. Could it be that the outstanding case with NTP is delaying BBConnect’s introduction to the U.S. mobile market? There are also a few standard BlackBerry features missing on the BBConnect device. For example, wireless synchronization of your contacts and calendar.